Act! CRM is designed keeping in mind the needs of small size and mid size businesses to build lasting relationships with their customers. 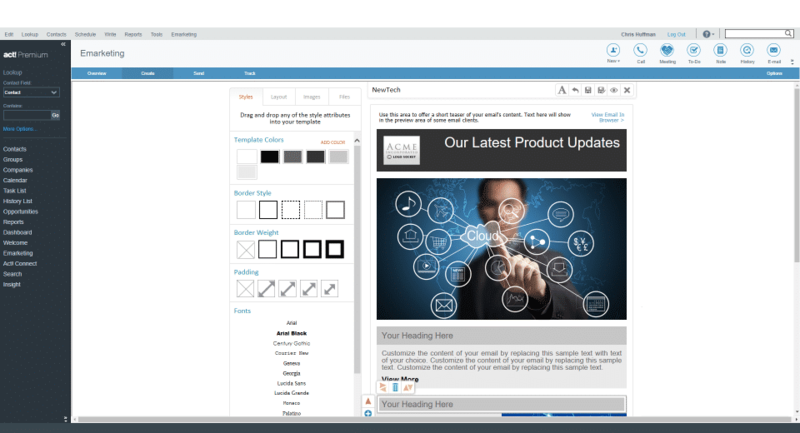 The software lets you personalize your platform and work-station the way you want so that your employees can adapt to it easily. 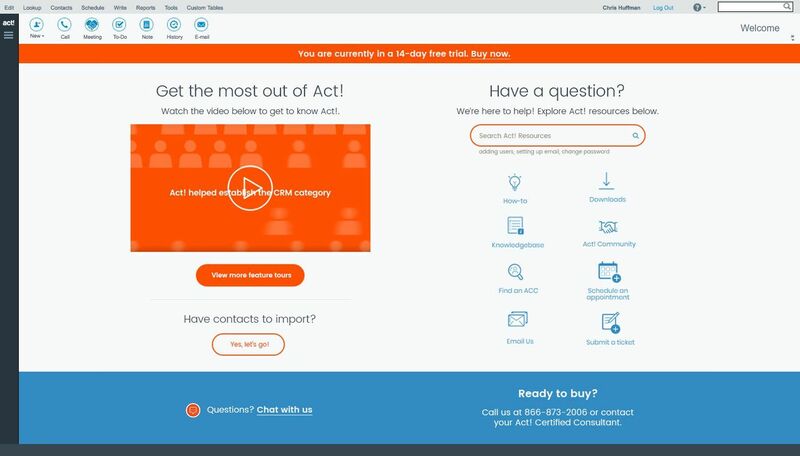 Make informed decisions with Act! 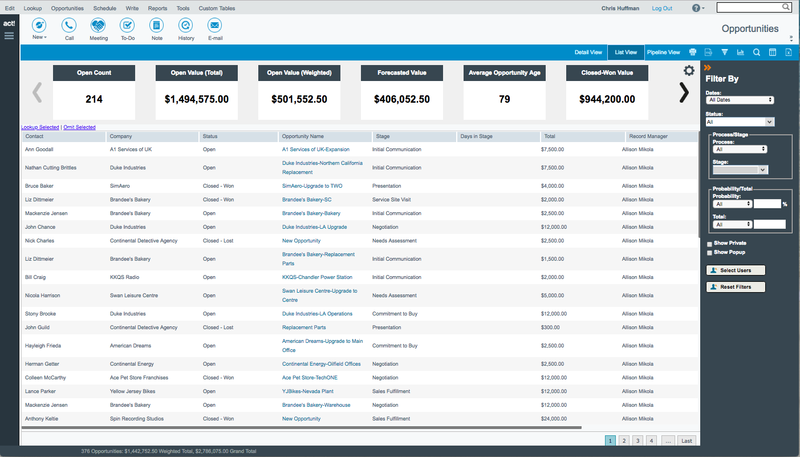 by using its interactive visual dashboard which displays snapshots of real-time metrics. 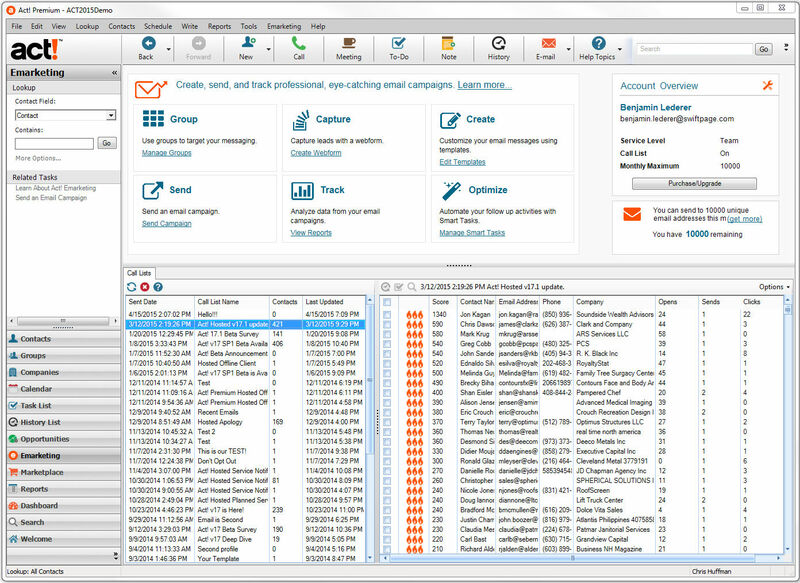 You can also customize these reports in your unique way to get a better understanding of it. With Act! 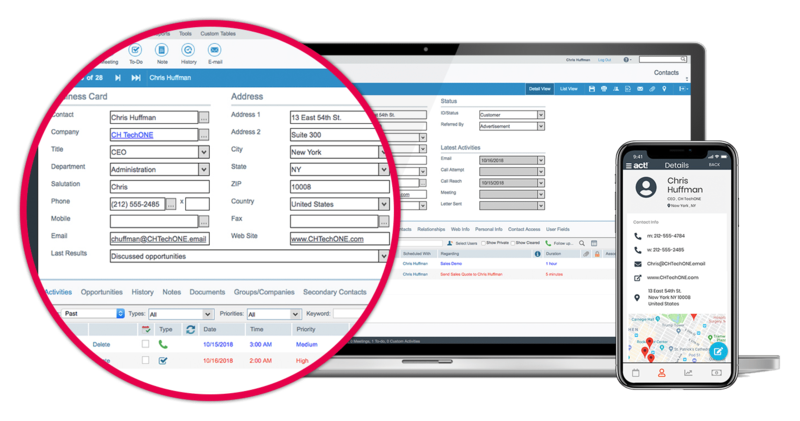 CRM, you get a number of powerful marketing and sales features that help you fuel your business growth. 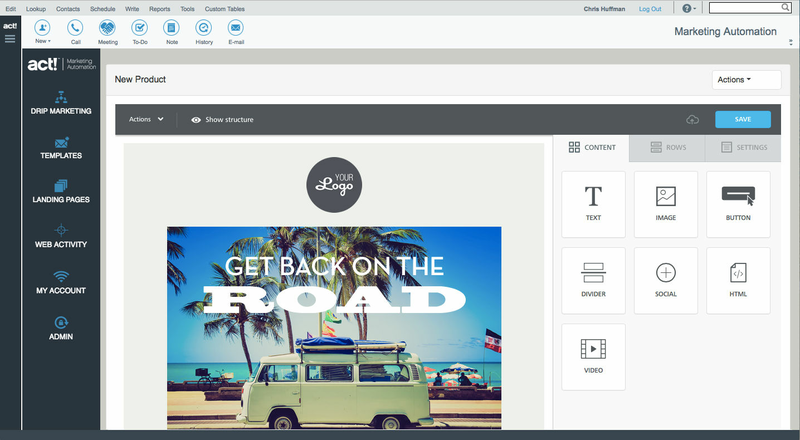 You can also send mobile-friendly campaigns that can drive sales to your contacts and groups. How much does Act! cost ? The pricing for Act! starts at $5.0 per month. Act! has 7 different plans such as - Act! 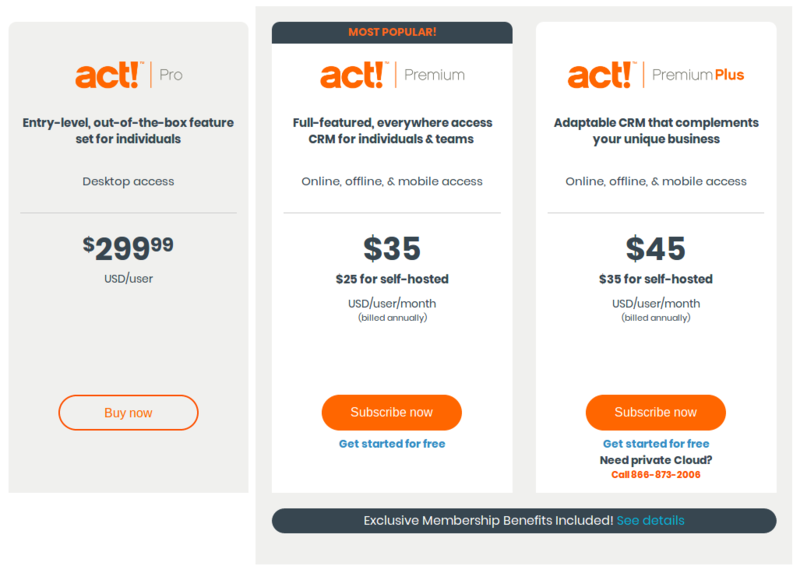 Support Plans and Pricing at $5.0 per month, Act!365 at $10.0 per user per month, Act! Premium Cloud at $35.0 per user per month and Act! 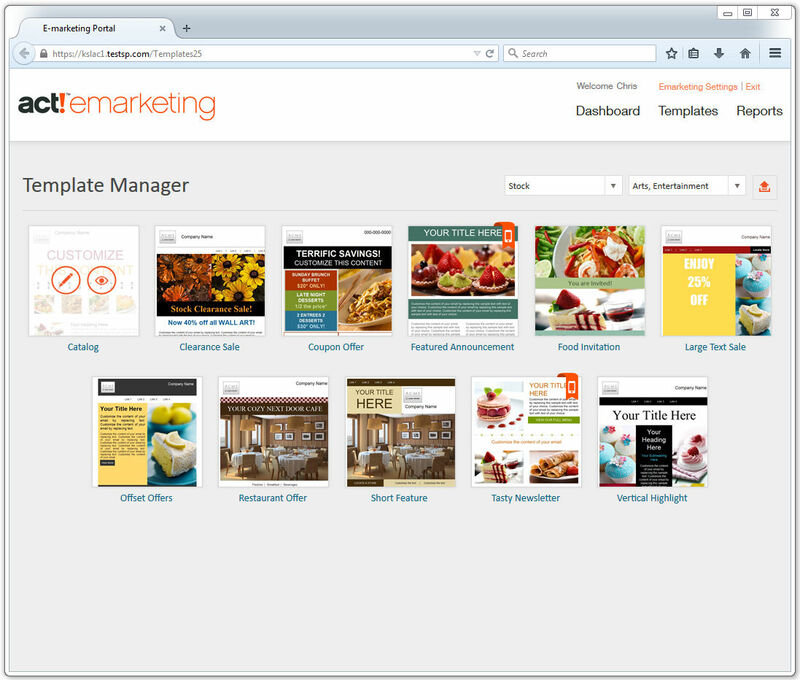 Growth Suite at $35.0 per user per month. Act! 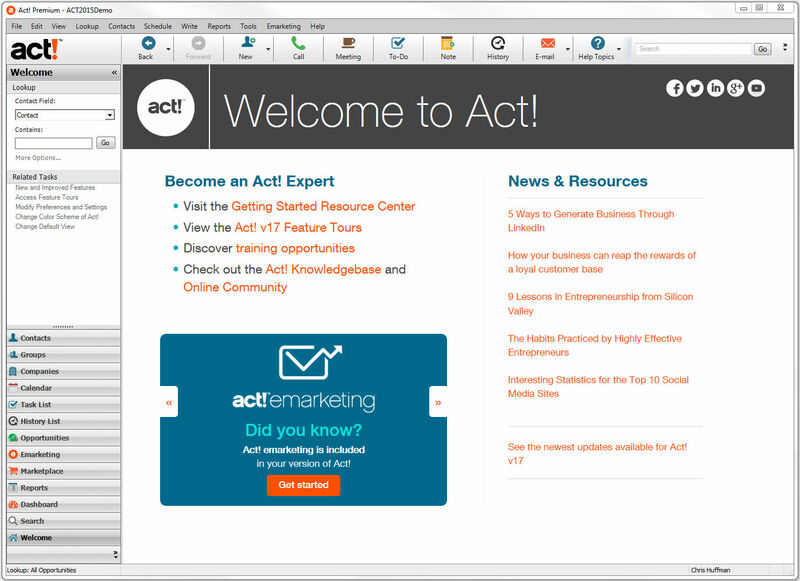 Premium Plus at $45.0 per user per month, Act! 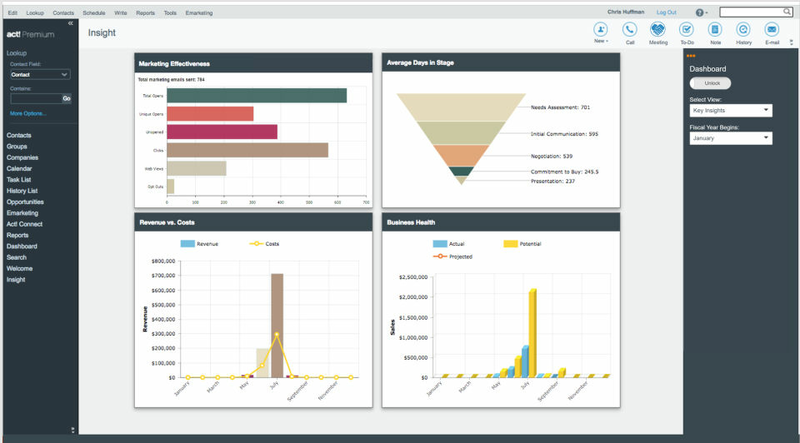 Marketing Automation at $79.0 per user per month and Act! Pro at $299.99 per user. Entry-level, out-of-the-box feature set for individuals. Desktop access. 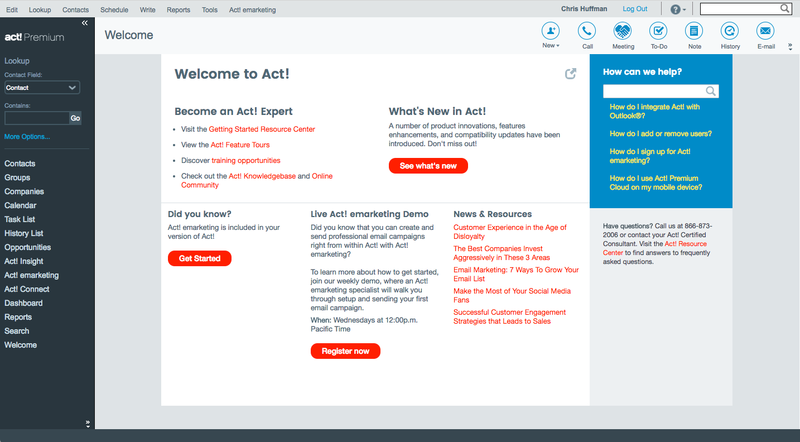 Pros: Act has been around forever, and a lot of companies still use it. It is very simple to navigate, even for beginners. 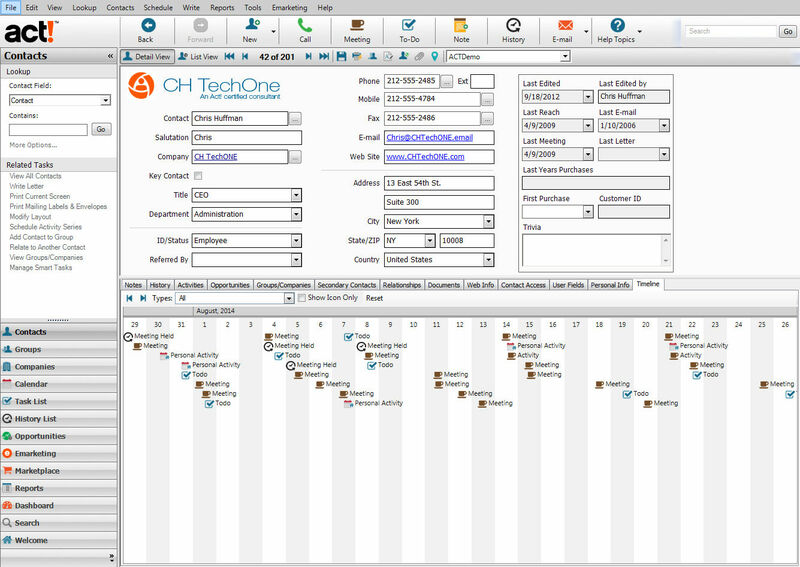 As a CRM, it is very easy to enter the various fields. You are part of a sales force, and you download your data, and now you are ready to prospect and make your call, which you document in Act. 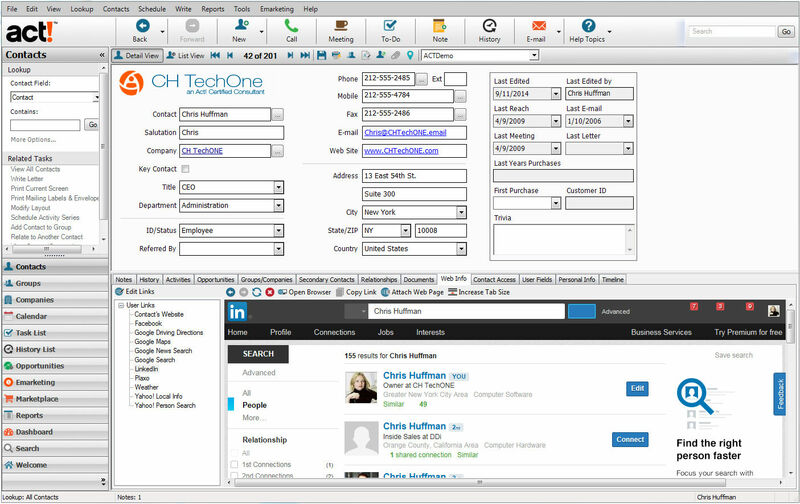 Any contact, notes, tasks, are very easy to enter and populate. So it's like a digital assistant. Cons: It could use more areas to document and populate. 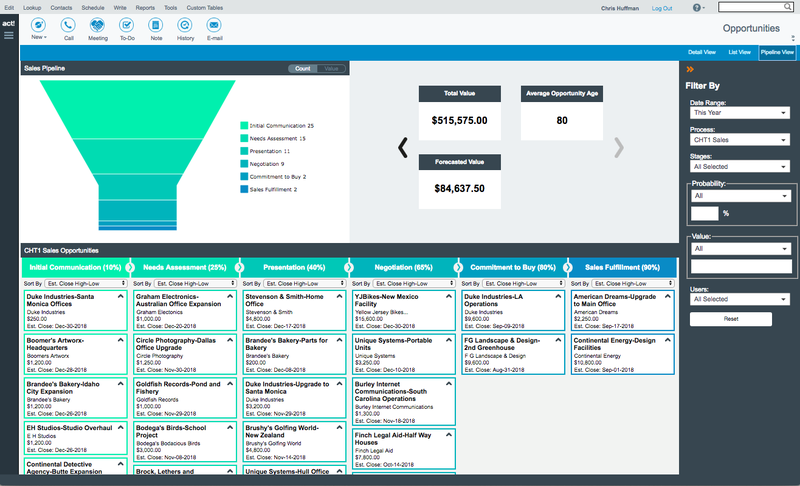 Act is not new technology, and the old is very basic, compared to salesforce and goldmine. 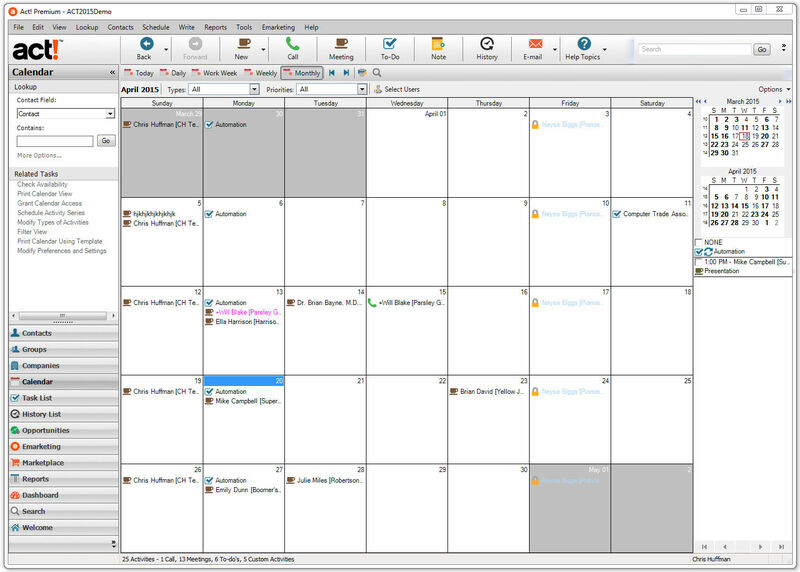 Overall: I have used Act as a pre call planner, the call, and the post call. So I know what to say or bring next visit. Pros: Effectively kept all information secure. Cons: Very expensive, upgrades at an additional cost. Not a fan but might be great for others! Pros: I have used this software a few times and feel it is very basic. Cons: I feel it is possibly a bit outdated. This might also be that I was using an older version. I love that each email, note and history or activity are attached to the actual contact's record. I can take detailed notes. Sometimes its very slow to startup the program. I very highly recommend this product. I have used it for 20 years and it has a wealth of excellent features. Tracking sales, appointments and taking detailed notes. 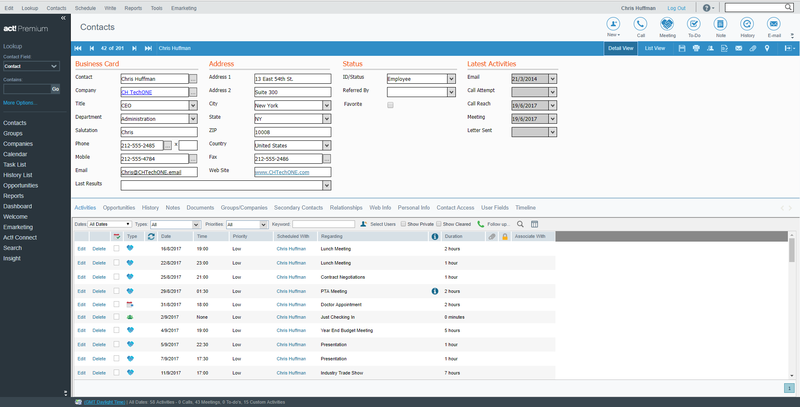 Pros: I liked that it functioned as a CRM and I was able to keep track of tasks. Cons: It has a terrible user interface and is not user friendly. Painful support, constant contact about upgrades, better options out there. 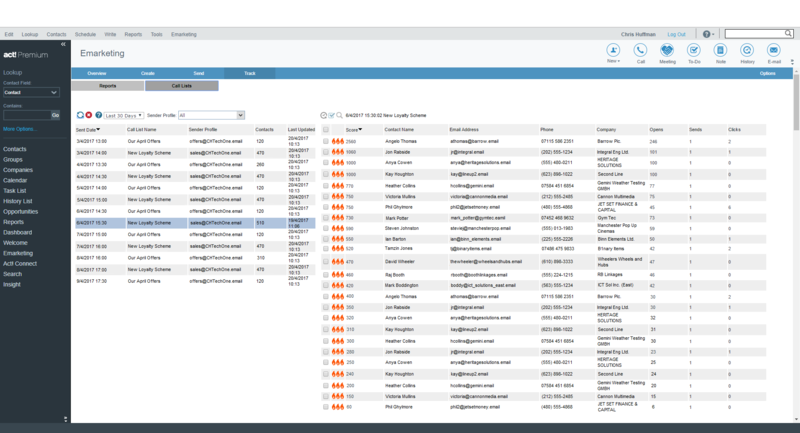 Pros: The only real pro for this software was at the time, it was super convenient for combing client and prospect data in an easy to use database. 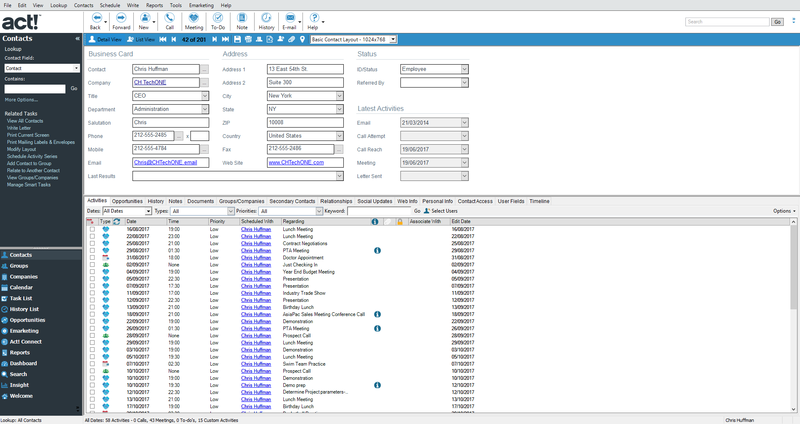 Client with an older version was rendered inoperable due to a license of ACT expiring. Customer support is slow to escalate issues. Write a Review for Act!